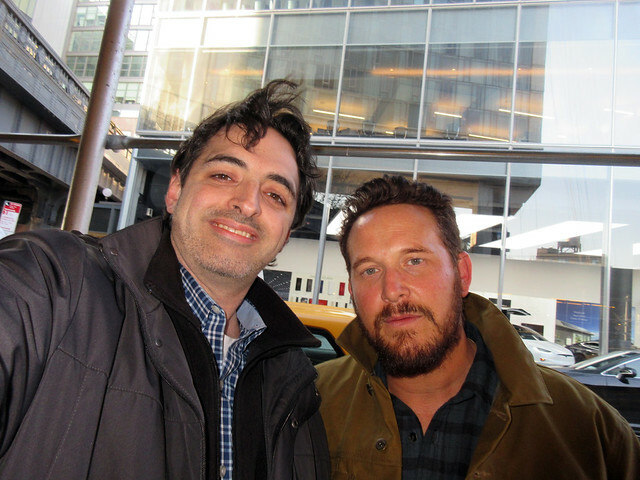 First up I headed to Philly for a quasi-meet and greet with Emilio Estevez from Breakfast Club, Young Guns, Men at Work, and The Mighty Ducks. He did this month-long coast to coast tour promoting his new movie. Knowing that he’d be hounded in NYC worse than anywhere else, I “talked” my way into the sold-out venue beforehand, and headed down. They had a small reception prior to the movie, where I spotted a friend of Jerry. We waited and eventually Emilio appeared, though he was off in the corner. Alec Baldwin arrived unannounced. It was becoming more and more clear that there was NOT going to be a setup meet & greet here and we had to fend for ourselves. So the two of us got near them, where the other guy got a selfie with Baldwin before he left the room. Emilio was nice about taking photos, though his reps complained when we asked for autographs. Apparently he did decent sigs in DC a few days before, but I assume the airport crew there pissed him off, because in Philly, he barely wrote anything. It’s so bad, I actually removed it from my 8x10. I left the building, as I had no interest in driving home in the middle of the night. Back in Manhattan, I hit a spot for some autographs from actors who I had photos with already. I got Justin Theroux, Emmy Rossum, and Amanda Seyfried there no problem. Also got a photo with Holly Taylor, who I didn’t have. I did some digging, and found a spot for actor Cole Hauser from School Ties, Pitch Black, and 2 Fast 2 Furious. Waited a bit and spotted him. He was cool, but initially didn’t want to take a photo, felt it was too weird. He was very surprised that anybody would actually care enough about him to even ask ha ha. So we wound up chatting for like 20 minutes about sports and all kinds of stuff, really interesting guy! Finally I helped him flag down a taxi and he got the selfie. I went over to another spot, hearing a sneak that Joss Whedon was in town there. 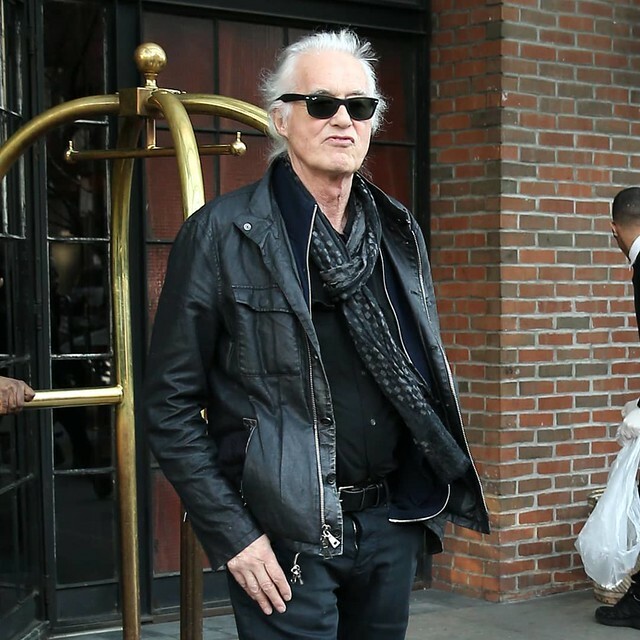 While I was there, I witnessed the great Jimmy Page leave the building, where he actually smiled and waved. Jaz Sinclair was there from the new Chilling Adventures of Sabrina, so I grabbed a selfie. I also got a update with Frank Grillo. Finally Joss appeared, and was very nice, and I got the photo. Previously I had failed on him at Tribeca and NYCC in the past. I quickly left and made the exits for an event with Danny Woodburn from Seinfeld, Death to Smoochy and Jingle All the Way. He also didn’t want to do the photo, but I pestered him just enough. Final stop was a premiere for a new Taraji Henson movie. One cast member I wanted was Nick Searcy from Castaway, Runaway Jury, and Seven Days. He laughed that I wanted a photo but did so for my friend and I. I made a brief appearance at the Game of Thrones hotel but it was a complete zoo. I just wanted two actors but one only signed and the other was surrounded by low lifes who wouldn’t stay inside the barricades. I abruptly left. 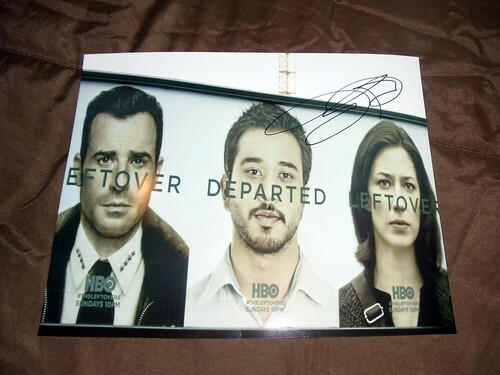 Love Leftovers, cool poster there.